This article was last revised on 08/18/17. Solar window film is an economical substitute for double glazed argon filled Energy Star windows when seeking to reduce utility bills on a tight budget in the current economical situation. It stops the summers heat and UV rays from getting in. Darker tints will supply privacy. Its a simple fact that as the weather gets warmer, the more costly it is to keep the interior of the home cool. Theres many things that may be done in the house to control energy usage and lower power bills. Installing solar window film to conserve energy is really a great place to start. Window efficiency has gained by leaps and bounds over the last 10 to 20 years. Both double and triple glazed Energy Star windows should be specified for new home construction. This is also true when it comes to hiring a remodeling contractor. The downside of all this is how expensive are the windows themselves coupled with the window installation labor expenditure. Most homeowners today thinking about remodeling their homes are leery of the capital expenditure because of the current economy added to the escalating cost of gas and basic groceries. Solar window film to the rescue! You already know how much more comfortable tinted windows make your car. Shouldt your home get the same treatment? Heat transference: Film saves energy both during the summer heat as well as the winter cold. During the summertime, it redirects thermal energy back outside. Ditto a portion of assaulting UV rays. During the wintertime? Film reduces warm thermal transference to the exterior. It has been estimated that up to 70% of a buildings heat will transfer through contractor grade windows. The sooner you install film the better, no matter what season it is. Minimize UV rays: As noted above, solar window treatments are engineered to reflect ultraviolet rays. The actual percentage depends on the film grade and manufacturer. 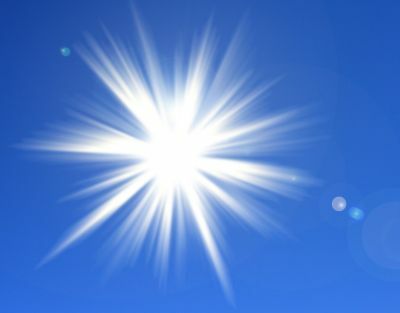 UV rays are known to fade both carpeting as well as furniture fabric. Privacy window film: The darker-shaded and mirror style films provide a good deal of seclusion and privacy for you and your family while still giving a good view of the outside world. Im always being asked if this is a good DIY project to tackle. Good question, glad you asked. The answer, as you might suspect, is yes and no. It does take patience and attention to detail. That being said, many people would prefer to hire a window treatment contractor. I highly recommend Angies List - Find thousands of unbiased ratings and reviews on service companies in your area, join Angies List today. Keep in mind that a respectable window specialist will always offer a comprehensive warranty in writing. On many occasions during in these down economic times, a deferred payment plan may also be on the table. The newly-remodeled windows shouldnt be washed during a specified time interval; this is usually 30 to 60 days. The solar product is curing and bonding during this time. Many manufacturers and the installation that represent them offer at least three grades. The two differences between them is first, the amount of energy efficiency and secondly, the degree of privacy. So what can you expect to be offered? How about a selection between lightest, light, medium, and darkest. (Like car paint colors, different manufacturers have different names for these.) In many cases, the darkest film tint is obtainable in the same color tint as the lighter film. Choices of bronze and silver are popular and yield the maximum degree privacy because of a mirror-like appearance. Theyre also the best green building alternative so if you are into that either is a good choice. In some cases, this energy saving product is eligible for the energy tax credit. Dont count on it. The government bases eligibility on location, type of window, and type of frame. If perchance you can claim it, the credit is just for the cost of the material, not labor. Save all receipts for when the time comes to file federal tax returns and scroll down to share your comment with our other readers.